Today, we’re in Facebook. I want to show you how Facebook allows you to create video channels now with the videos that you upload. On Facebook, go to you to your video page. You can see that you can have a featured video, so I have a featured video here, but you can also have playlists. I have two playlists right now. 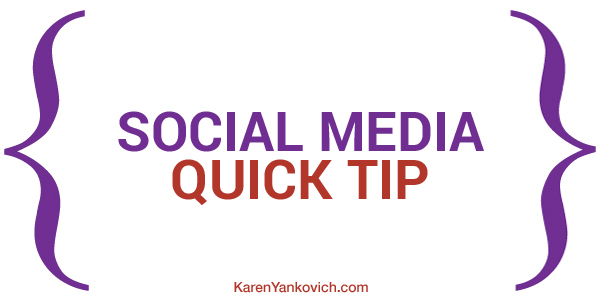 I have this “Social Media Quick Tips”, and then I started Periscoping, so I’ve got that too. What it basically does is it takes all the videos that you’ve uploaded to your Facebook page and arranges them in a logical order, so you can share those playlists with your followers in a really organized way instead of them being all scattered all over your Facebook feed. You just click the “Edit” button and add a playlist. And to add a playlist. You can type in a description, which I suggest you do. You hit “Next”, and then you can just go through your videos and click on the ones you want to be on that playlist. You hit “Next”, and then you can reorder them. That’s all you need to do to create a playlist, and then your uploaded videos are organized in a similar way to the videos that you’ve uploaded to YouTube. It’s a really, really cool thing. Share your playlist with your followers and think about what other kinds of things you can create a playlist for. You saw that I’ve got a Periscope playlist. I create a Periscope video and save it to my phone. Then I upload it to my Facebook page, so I’m getting double bang out of that Periscope content. I’m getting the periscope followers, but I’m also using it to share that same content with my Facebook followers. And because I have it in this playlist, they can actually watch the logical progression of this as it grows. Organize your videos on Facebook. It’s a really cool thing. Easy, quick, free. I had no idea Facebook has playlists. Thanks for the tip!